The library holds subscriptions to a variety of specialist databases. These databases are accessible on the AFTRS premises and remotely for AFTRS staff and students. Use them to find references to articles on film, television, radio and new media. EBSCOhost provides full text or citation access to various databases, both multi-subject and discipline specific. Click 'more' to see all EBSCO databases to which the AFTRS Library subscribes. 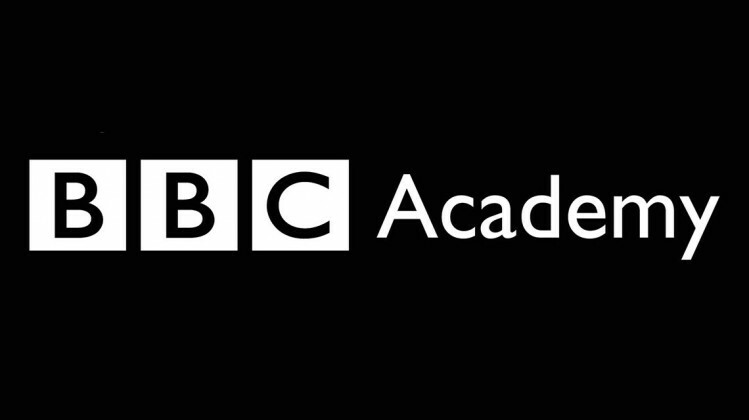 BBC Academy is a training and development tool designed to support BBC journalists and the wider industry to "inform, educate and entertain." Articles, tutorial videos and text reports provide practical advice in key areas such as how to write, report, present and research stories. There is information on how to get the most from social media, how to speak with victims of trauma, interview techniques and more. Business Source Complete is a database of bibliographic and full text scholarly business content. Searchable cited references are provided for more than 1,300 journals. CMMC incorporates CommSearch (formerly produced by National Communication Association) and Mass Media Articles Index (formerly produced by Penn State) providing full-text and abstracted articles in the communication and mass media fields. The Education Resources Information Center (ERIC) is an online digital library of education research and information sponsored by the Institute of Education Sciences (IES) of the U.S. Department of Education. ERIC provides a bibliographic and full-text database of education research and information from 1966 to the present. Coverage in Education Source spans all levels of education from early childhood to higher education and also includes educational specialities such as multilingual education, health education and testing. Education Source provides indexing and abstracts for more than 2,850 academic periodicals and includes full text for more than 1,800 journals and 500 books and conference papers. Find citations for over 4 million articles, including book reviews, and over 100,000 controlled and cross-referenced names of educational tests. FIAF Index to Film Periodicals Plus offers full-text and bibliographic coverage of hundreds of the world's foremost academic and popular film journals. It is the only database offering subject indexing of film periodicals from a controlled thesaurus. It includes film literature from more than 300 periodicals since 1972 and television literature from 1979. Each entry consists of a full bibliographic description, an abstract and comprehensive headings (biographical names, film titles and general subjects). Film Index International is a database with information on feature films, shorts, documentaries, TV movies, awards, production companies, credits, plot synopses, actors and more. It provides information on 90,000 films or shows since 1895. It contains citations of reviews and journal articles, as well as cast and crew credits. The FII is included in the ProQuest Screen Studies Collection, along with the AFI catalogue and FIAF International Index to Film Periodicals Database. The Film Literature Index covers approximately 700,000 citations to articles, film reviews and book reviews published between 1976 - 2001. 150 film and television periodicals from 30 countries have been fully indexed. Google Scholar is a broad database of scholarly literature. The search is fairly intuitive, and you can search across many disciplines and sources: articles, theses, books, abstracts and court opinions, from academic publishers, professional societies, online repositories, universities and other web sites. This database includes full text for more than 1,400 journals, with citations to over 3.5 million articles and book reviews pertaining to literary, scholarly and creative thought. RMIT Publishing's Informit service is a leading source of full text, multimedia and index databases for research from Australia, New Zealand and the Asia Pacific region. Literary Reference Center™ (LRC) is a database that combines information from respected reference books and journals, as well as original content from EBSCO Publishing. It covers a massive selection of full text articles, abstracts, plot summaries, literature, poetry, interviews and more. 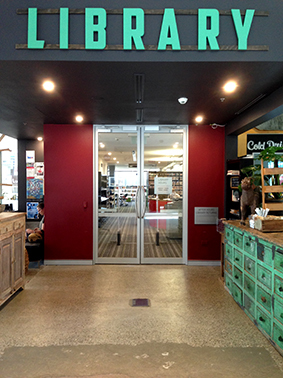 Literary Reference Center contains full text for over 35,000 plot summaries, synopses and work overviews, nearly 100,000 articles/essays of literary criticisms, over 253,000 author biographies (including more than 22,000 in-depth bios), over 460 literary journals, over 693,000 book reviews, nearly 78,000 classic and contemporary poems, more than 19,600 classic and contemporary short stories, more than 6,500 author interviews, more than 8,200 classic texts and much more. Philanthropy Australia is a the national peak body of the philanthropic sector, with a national footprint to support research and advocacy efforts; It facilitates the sharing of knowledge, collaboration, research and representation around how best to invest social dollars and to support funding applications accordingly. Psychology & Behavioral Sciences Collection is a comprehensive database concerning topics in emotional & behavioural characteristics, psychiatry, psychology, anthropology, and observational & experimental methods. This is the world's largest full text psychology database offering full text coverage for nearly 400 journals. Regional Business News provides comprehensive full text coverage for regional business publications. The database incorporates coverage of more than 80 regional business publications covering all metropolitan and rural areas within the United States. A database of hundreds of scripts, screenplays and transcripts of current, classic and (a few) soon-to-be-released movies, television, anime and radio shows.